God is fulfilling His ancient promises to the Jewish people today, and their return to Israel brings glory and honor to His Name. After centuries of exile among the nations, the descendants of Abraham, Isaac, and Jacob can see their God keeping His word to them: “Do not fear, O Jacob my servant; do not be dismayed, O Israel. I will surely save you out of a distant place, your descendants from the land of their exile” (Isaiah 46:27). Ezra Canada takes seriously God’s calling to the Gentiles as He orchestrates this modern-day Exodus, foretold thousands of years ago through the prophet Isaiah: “Thus says the Lord GOD, ‘Behold, I will lift up My hand to the nations and set up My standard to the peoples; and they will bring your sons in their bosom, and your daughters will be carried on their shoulders'” (Isaiah 49:22). Rev. Roy & Mariette meet Ontario Premier Doug Ford at Christmas Celebration where he joined over 100 pastors in praying for Mr. Ford. 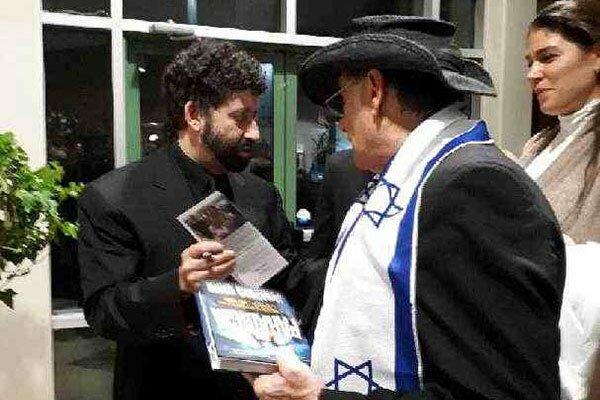 Rabbi Jonathon Cahn receiving Ezra Canada brochure/newsletter from Rev. Roy on his recent visit to Toronto. Rev. 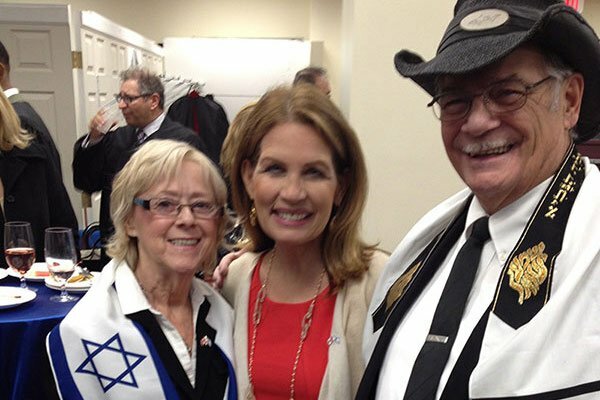 Roy and Mariette Trepanier meeting Congresswoman Michele Bachmann and introducing her to Ezra Canada at Canada Christian College. Rev. 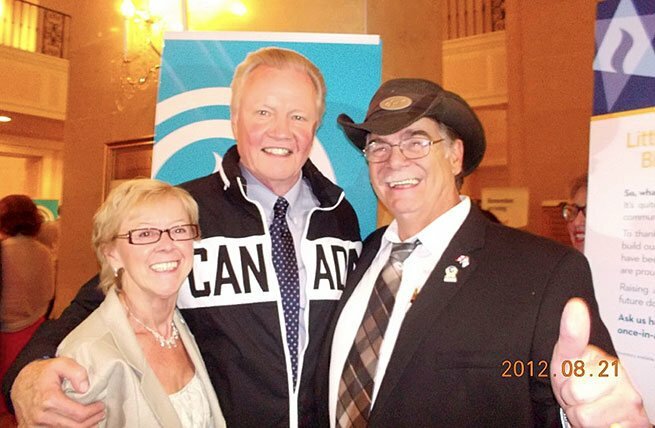 Roy and Mariette meet Mr. Jon Voight, a HUGE lover and supporter of Israel. Mr. Voight was the guest speaker for the United Jewish Appeal Gala Campaign kick-off at the Royal York Hotel in Toronto but took the time to congratulate Ezra Canada/Int’l for the great work they are doing in the Aliyah. Rev. Roy gifted Mr. Voight with two Israel/Canada lapel pins, Rev. Barry Wagner’s book, “ And Still They Come …Israel’s Final Return” and an Ezra Canada information packet. Rev. 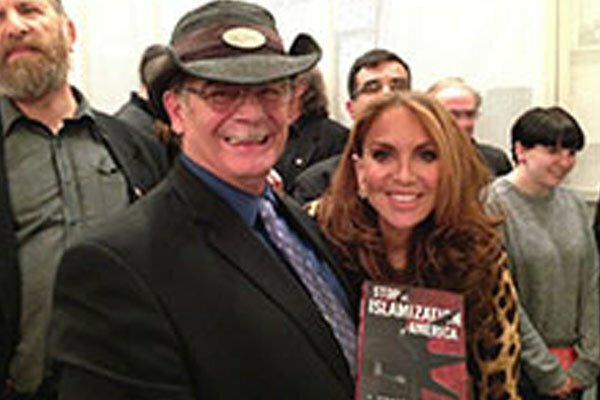 Roy meets and chats with the dynamic freedom-fighter, Pamela Geller at the Toronto Zionist Center, May 13, 2013. Rev. 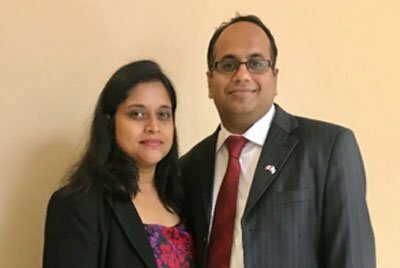 Roy introduces Ezra Ministry to Ms. Clare Lopez, Strategic Policy and Intelligence expert with a 20 year career in the C.I.A. at luncheon in Toronto. Ms. Lopez is a huge lover and supporter of Israel. Ezra Canada partners with churches nationwide to proclaim God’s faithfulness as He brings the Jewish people home to Israel. The story of their return belongs to God, and He prophesied that the Gentiles would play a part in this modern-day Exodus of the Jewish people: “This is what the Sovereign LORD says: ‘See, I will beckon to the Gentiles, I will lift up my banner to the peoples; they will bring your sons in their arms and carry your daughters on their shoulders'” (Isaiah 49:22). God’s plan is that we as Christians respond to His word, assisting in the restoration of the Jewish people while we come to a greater knowledge of Him. Ezra Canada is committed to fulfilling the calling He has for us as He honors the promises He made to the Jewish people. 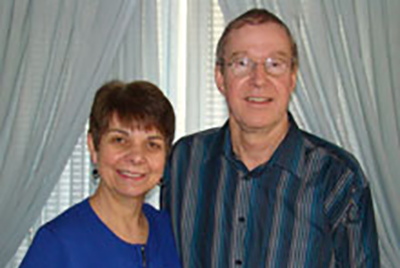 Once again we have been blessed by Ezra Canada Ministries as you and Mrs. Trepanier visited our church this past month. It is always good to see you folks and hear of the work Jesus is doing in your hearts for Israel. 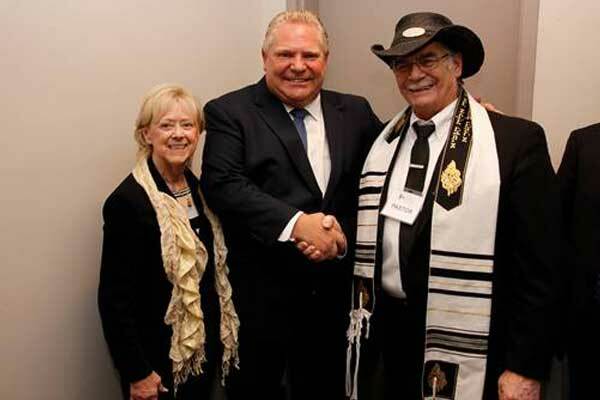 It has been several years since first coming to learn about Ezra Canada and their call to Rescue, Return and Restore the Jewish people, but each time you share, we become more in tune with God’s heart for this nation. It has been a great privilege for us a Christian Church to extend hope as we reach out in love in Jesus name to our brethren, thereby gaining a deeper appreciation of the Jewish people, their continual struggles relative to poverty, sickness and ever increasing anti-Semitism. All of these daily challenges certainly affect their lives as to whether they believe hope is attainable. I’m sure that it is on the hearts of the people – “Does anyone care, does the world know the truth of our plight?” However, as we witness the faithfulness of God to gather them from the nations of the world through the efforts of ministries such as Ezra Canada, people are being restored in a variety of ways to have a chance to start life over again. We thank God for obedience to the mandate He has put on the servants of this ministry. 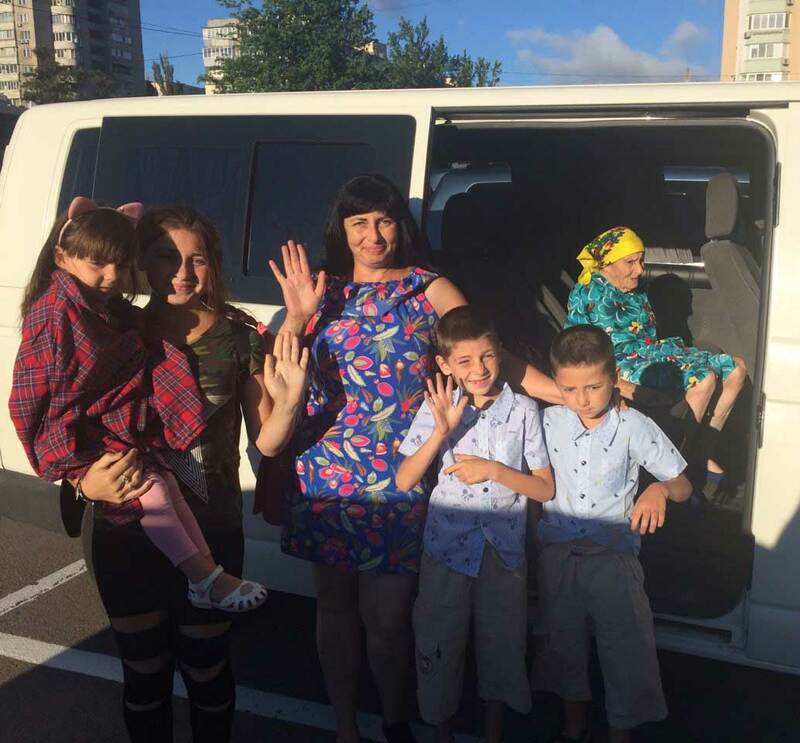 As a church, we believe in and support Ezra Ministries financially and prayerfully desiring that these precious Jewish people will be able to resettle in their homeland once again. The Christian church and individuals can play a significant role helping them return to Israel to make aliyah. We are commanded to pray for the peace of Israel and as we do, God blesses those who bless this nation. Our church has experienced many great blessings through our partnership with Ezra Canada that has resulted in a greater understanding of God’s relationship to His chosen people. As well, we have seen a very notable increase in our financial position which we attribute largely to believing and supporting God’s plan of redemption for the Jewish people. God is caring for our needs with surplus! We have tasted the goodness of the Lord, He has been faithful to provide for our ministry as we have stepped out and committed ourselves to support Ezra. In closing, missions is the heartbeat of God and should be the priority in the Church. We have included Ezra in our yearly budget to help as much as we can. The newsletters you send out give accurate updates as to conditions in Israel, the presentation of the many challenges they experience from day to day have touched our hearts. May the Lord continue to lead you and strengthen as you serve Him through this ministry. 1984 York Rd. Deseronto ON. Thank you for the powerful presentation, the Word & blessing that you, your wife & Ezra Ministries brought to us this month. We were looking forward with expectation to receiving factual & unedited footage of what is really taking place in Ukrainel. You related the heart of God to us and pointed the church to once again focus on Israel where God is drawing His Chosen people home in these last days. May we as individuals catch that vision, to know His Word pertaining to His Jewish people. There is an expectancy but also an urgency in your message. The video was very graphic & certainly portrayed the current conditions and the need for churches to rally support for this ministry. May God continue to give you strength & insight so as to present the burden that The Lord placed on your heart. It’s really God’s heart for His Chosen people that you are speaking. The Body of Christ must continue to emphasis what the Word says, to believe it & obey it as we continue to pray for Jerusalem. Those who honor God’s people will be blessed & protected in these last days. Thank you for touching our hearts with untainted truth. We must support Israel, our future is dependent on it!! Milton City Church and I want to thank you very much for bringing the message of Ezra Ministry to us. Your visit has not only educated us but has also stirred up a renewed interest in our hearts. Questions have been asked and interest is driving us into research about God’s Chosen people..
We really truly give God thanks for you and your wife and all of Ezra Canada. We look forward to having you back again, but this time we will combine together with other churches. We are praying and will continue to pray for greater open doors for you and Ezra Canada as you strive to bring the spoken word of God’s prophetic Aliyah program to the body of Christ. I just wanted to express our thanks again for your message this past Sunday, April 06, 2014. It was a wonderful and informative meeting and everyone was encouraged and uplifted by all that Scripture has to say regarding God’s Chosen People and the blessings that God offers for those who, love, pray for and support the “apple of His eye” !! We will continue to pray for your ministry and these very special people of God and we look forward to having you again in the future, Lord willing. Till then, May the Lord richly bless you, your family and Bro. Matthew and his family. 2521 Dundas St. W. , Oakville, ON. You brought us great delight when you have visited us the second time not just to share to us the ministry of EZRA Canada but also to encourage us in our First year Anniversary. I hope you have had fun. Thank you for presenting to us the message and ministry of EZRA CANADA. You have made it easy for us to understand how the end time prophecy is being fulfilled as it unfolds right before our eyes through the nation of Israel. We truly believe that the Lord’s coming is at hand and it could be in our day and age. You have made it clear to us through your video presentation how the ministry of EZRA CANADA helps in bringing back God’s people to their land. Feeding and helping them to move and begin anew in their own land is a challenge that should resonate with the Christian community at large. I will try to connect you to some Pastor’s in the Philippines and hopefully the Lord could provide an EZRA representative there. What a great delight it was to have Rev. 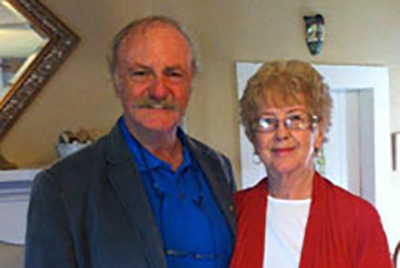 Roy Trepanier and his wife with us in our morning service on Sunday, March 11, 2012. 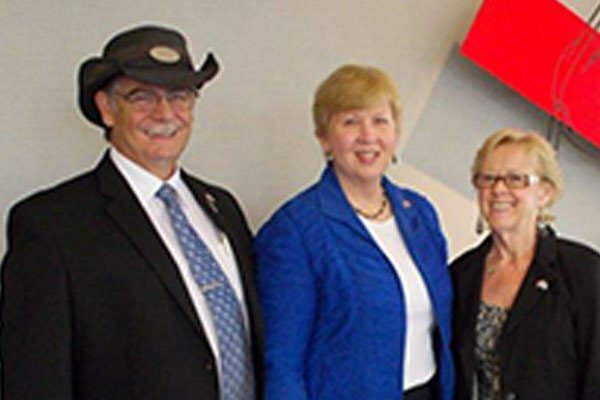 They presented the vision and the ministry of Ezra Canada in a clear and concise manner. We learned, through a video presentation, how Ezra Canada is assisting Jewish people with the basic necessities of life, and is helping them to move back to their home country, Israel. Rev. Roy also shared from the Bible what Jehovah has said about His chosen people – the Jews. The presentation was quite challenging, educational and moving. Support for the mission was presented. Each one knew how they could participate, as information material was given to each adult present. I would recommend other churches receive Rev. Roy and his wife so that this message may be presented to their congregation. This is a ‘must hear’ message. Yahweh, God required it to be so. There are blessings promised to all who will respond. Thank you for the enlightenment Rev. Roy . The Chief Cornerstone Tabernacle of Praise Ministries Canada Inc. Thank you for opening up the Scriptures to us as they relate to God’s Chosen people, Israel. Many in our church today come with questions about Israel, Bible prophecy, and the Jewish people, and are wondering how these current topics relate to them as individuals. 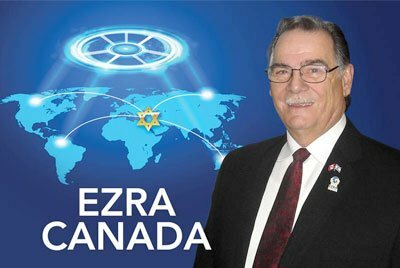 Ezra Canada exists to Rescue, Return and Restore the Jewish people to their “Promised” land, Israel. Our congregation was wonderfully reminded of the “Blessings” of blessing Israel, and how the promises of God will never fail. Pastor Ron Pakulat, Arthur Pentecostal Assembly, Arthur, Ontario. It was really a great joy to have you at our celebration service this past Sunday. We were so blessed by your ministry of Ezra Canada, and how important it is for the church to know about God’s plan for Israel. Many of our people were deeply impacted by the message you brought, and the conviction the both of you carry for God’s chosen people, the Jews. May the Lord prosper and open doors for this message to be impacted across the nation. Blessings, Pastor Alvin Koh, Spring-Life Christian Fellowship, Willowdale, Ontario. Thank you for your informative and inspiring ministry with us. What a wonderful reminder to us of the truth that GOD HAS A PLAN for Israel and for his church. Our congregation was enouraged to hear of the soon return of Jesus from a Jewish perspective and blessed, also, for the reminder of God’s grace to us Gentiles through His dealings with His chosen people. May the guiding and providing hand of the Master be continually evident in the expanding ministry of Ezra Canada. Pastor Terry Grimes, Calvary Pentecostal Church, Lindsay, Ontario.